Directions Training Blog / What’s New with Windows 10? Yesterday, Microsoft made Windows 10 available as a free upgrade for qualified Windows 7, Windows 8.1, and Windows Phone 8.1 devices. Windows 10 is familiar and easy to use. Microsoft designed it to start up and resume fast. Plus, they packed Windows 10 with innovations. 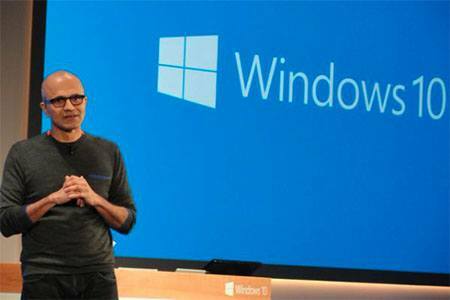 In fact, Windows 10 is not just a new version of Windows; it’s a revolutionary version of Windows. Microsoft Edge browser—Windows 10 comes with the all-new browser that allows you to write or type notes directly on web pages and share them with others. Multi-doing—Easily snap up to four apps in place and see all your open tasks in a single view. Cortana—Microsoft’s personal digital assistant does more than the usual phone assistants do because it’s part of your desktop. Cortana can search your hard drive, the cloud and the web, showing the results in a single display. Start menu—Windows 10 is so familiar and easy to use, you’ll feel like an expert. The Start Menu is back in an expanded form, plus we’ll bring over your pinned apps and favorites so they’re ready and waiting for you. Windows Hello—With Windows Hello, you’ll be able to just show your face, or touch your finger, to new devices running Windows 10 and be immediately recognized. And not only is Windows Hello more convenient than typing a password—it’s more secure! Unified Windows Store— with Windows 10 we will deliver one Windows Store for all Windows devices. This unified store will offer tremendous benefits for commercial software developers, enabling them to offer universal Windows apps that you can use across phone, tablet and PC form factors. For organizations, the unified Store will also offer a new web-based Store portal that will allow IT administrators to browse the app catalog and acquire apps in bulk. Better yet, Windows 10 was built to empower you and your business to do great things. You want the best business tools for your people to get the job done. At the same time, you need to keep your information secure and your technology under control. Windows 10 eliminates the learning curve, delivers powerful innovation to remove limitations, and immediately empowers your people, so your sole focus can be on doing great things. Windows 10 is friendly and familiar, and features new ideas. With many similarities to Windows 7, including the Start menu, you and your team will feel like experts right away. Windows 10 apps and content adapt to display beautifully in all modes, on all devices even as you transition from one to another. Get access to the apps your business needs, including Office, LOB apps, and web apps. Gain the freedom to do great things from anywhere, across your devices. Windows 10 helps you reduce the cost and complexity historically associated with managing and deploying Windows devices. With Windows as a Service, you receive a stream of continuous innovation so you are always up to date and more secure. You can deploy when you are ready. Use cloud-based tools to manage your devices, identities, and apps—avoid big expenses. Get the flexibility to grow efficiently as Windows scales with your needs. New features designed to meet the needs of the world’s largest governments and enterprises against increasing security threats are available to you in all Windows editions. Windows 10 delivers entirely new ways to protect your identities, data and devices. Measures such as biometrics and multi-factor authentication can be deployed by small and midsize businesses. Enjoy peace of mind as Windows safeguards your business. Windows 10 is designed to work with the devices you already own, and light up the features of new devices such as 2-in-1s. Windows 10 will embrace the next wave of device innovation, powering devices that hang on the wall and help you work as a team in new ways. New holographic interfaces will open up new ways to create, team, collaborate, and visualize. Get affordable innovation with devices to power your business. Click here to learn more about how you can upgrade to Windows 10 and reap the benefits of the state-of-the-art operating system.